Last month at Cosmoprof North America in Las Vegas I saw some great new products that were either newly launched or are in the pipeline and will be available shortly. I thought I’d share some of them. Also, make sure to check out the October issue of NAILS Magazine for even more pictures of Cosmoprof (including of more child-size pedicure spa chairs — we saw a ton of these!) Feel free to leave me a comment in Feedback about which new products interest you the most. 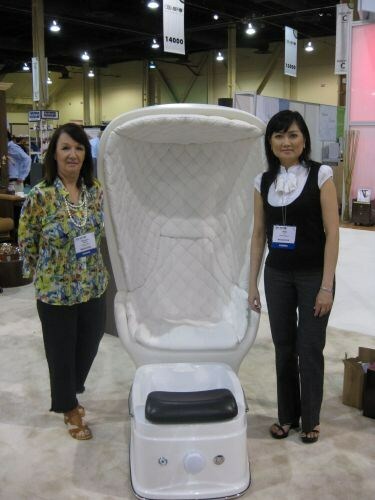 Maryanne Pearson (left) and Hang Tu show off Gulfstream Plastics new Showtime Chair, a dome-shaped pedicure spa chair with a comfy cushioned back. 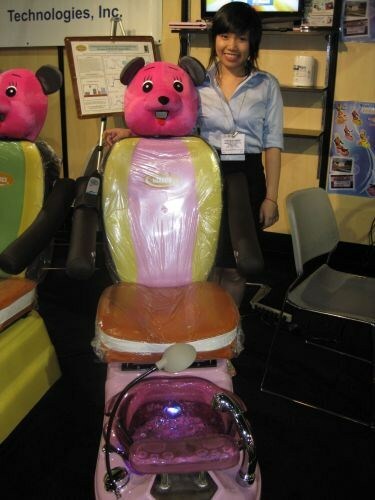 Trina Dang describes Luraco Technologies “Mini Spa” for kids; the latest version features a glass bowl and a port for a nail technician light. 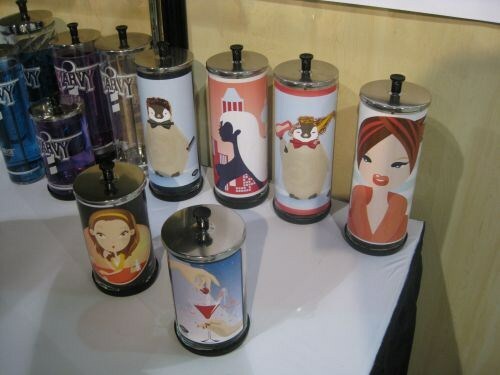 William Marvy Company will soon be launching these cute illustrated sanitizing disinfectant jars, which will be available in two sizes. (from left to right) Daniel, Patricia, and Baxter Cepeda talked about Wax ‘n Waxing’s fresh new look, including see-through containers and a new logo that incorporates a lively shade of green. 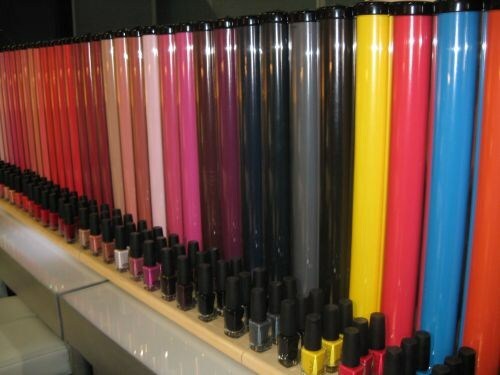 CND continued the launch of its Colours & Effects line, with a private party that let press members play with the new polishes, then layer on various effects to create unique nail looks.